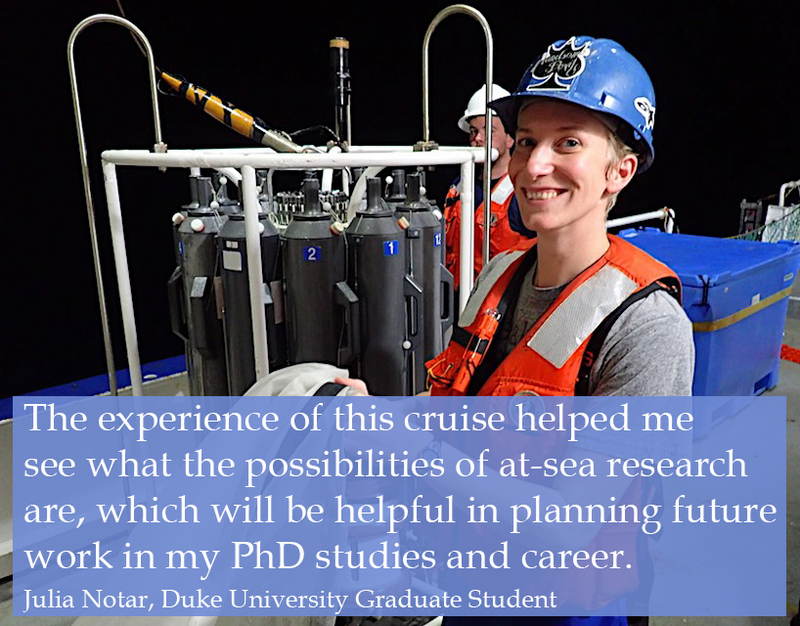 The UNOLS Cruise Opportunity Program matches volunteer graduate students with research cruises aboard UNOLS vessels. 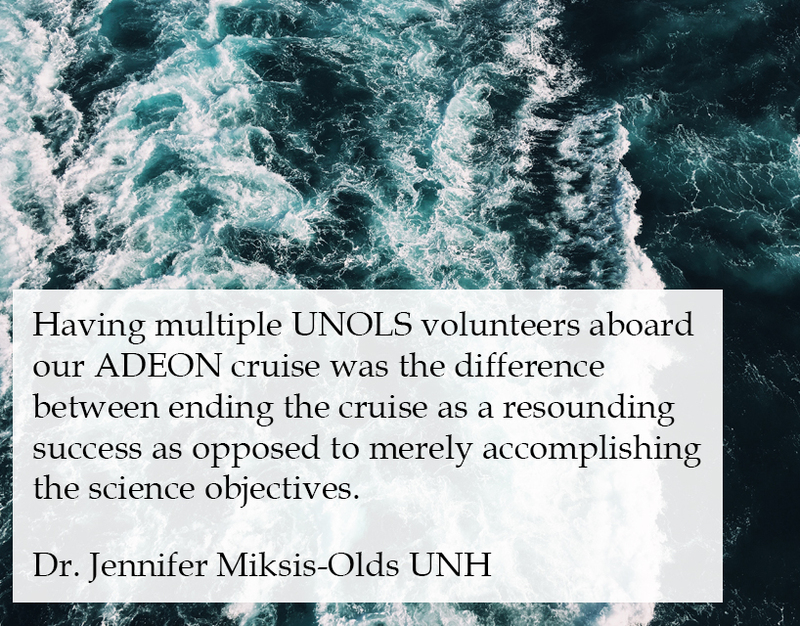 Welcome to the UNOLS Cruise Opportunity Program Webpage! Note to PIs: If you have empty bunks on your cruise, please consider making them available to graduate students. Contact the UNOLS Office to coordinate. Thank you! To apply, please review the opportunity listed below and fill out an application form by the deadline listed. Cruise Description/Volunteer Responsibilities: Assisting in collection and processing of geophysical data. Cruise Description/Volunteer Responsibilities: Service Pioneer Array Moorings, Volunteer will help with Mooring Turns, CTDs, Glider Ops, AUV ops, ROV ops. Cruise Description/Volunteer Responsibilities: We will deploy and recover oceanographic moorings, profilers and gliders off Washington and Oregon as part of the Ocean Observatories Initiative (OOI) Endurance Array. Seven surface moorings will be deployed and recovered along with up to four profilers and six gliders. We will also acquire CTD casts (with bottle sampling) and underway ship data for comparison to deployed equipment. Students will have the opportunity to assist in mooring deployments and recoveries, CTD casts, and acquisition of underway data. Specific volunteer opportunities can be developed based on the student's expertise and interests. Potential volunteer activities include overseeing acquisition of CTD and/or underway ship data for comparison to mooring data, assisting with the mechanical integration (breakdown) of deployed (recovered) moorings, and aid in deploying and recovering gliders.